Later this month, gun prohibition lobbying groups will gather in downtown Seattle to observe the 20th anniversary of the Columbine High School tragedy, and ten days later, the 7th annual fund raising luncheon for the billionaire-backed Alliance for Gun Responsibility will be held at the Sheraton Hotel. In 2014, the Alliance bankrolled Initiative 594, the “universal background check” measure. In 2015, there were 18 total homicides reported in Seattle, where the group is headquartered. That year, according to the FBI Uniform Crime Report, there were 209 murders in the state, of which 141 were committed with firearms. By 2017, the year for which the most recent FBI data is available, there were 228 murders in the state, of which 134 were committed with firearms. That’s a reduction in gun-related slayings but an overall rise in total murders, in which the victims were just as dead. What this demonstrates is that people will kill one another, whether a firearm is available or not. Interestingly, the Seattle Police Department crime data shows that there were 24 murders in the city in 2015, and that figure rose to 27 in 2017. Last year, according to SPD data, there were 32 murders in the city. Falling between the gun control rally at Seattle City Hall and the fundraiser at the Sheraton, the National Rifle Association will gather for its 148th annual members meeting and exhibits in Indianapolis on the weekend of April 26-28. Keynoting the organization’s Friday afternoon “Leadership Forum” will be President Donald Trump, appearing for the third time in a row since his surprise defeat of Democrat Hillary Rodham Clinton in November 2016. The last time that NRA was in Seattle for its convention was in 1997, and tens of thousands of NRA members were in the city, guns and all, and not one of them suffered any harm, nor did any NRA member harm anybody else. Last year, the Alliance backed Initiative 1639, which added restrictions on the sale of semiautomatic rifles in Washington State, and classified every semi-auto as a “semiautomatic assault rifle,” a firearm that actually does not exist. In 2017, there was a single murder traced to a rifle in the Evergreen State, according to FBI data. 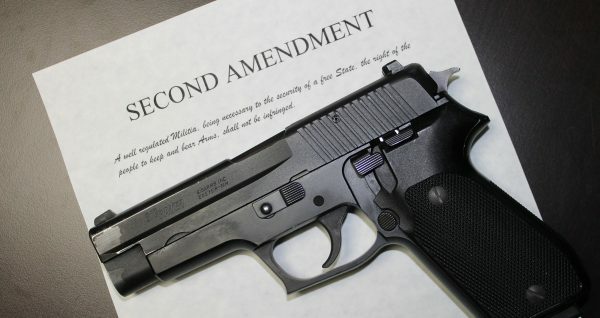 Meanwhile, earlier this week, the state Department of Licensing reported that there are now more than 616,000 active concealed pistol licenses in the state. An attempt to make it more burdensome on law-abiding citizens to obtain a CPL failed to pass the legislature.